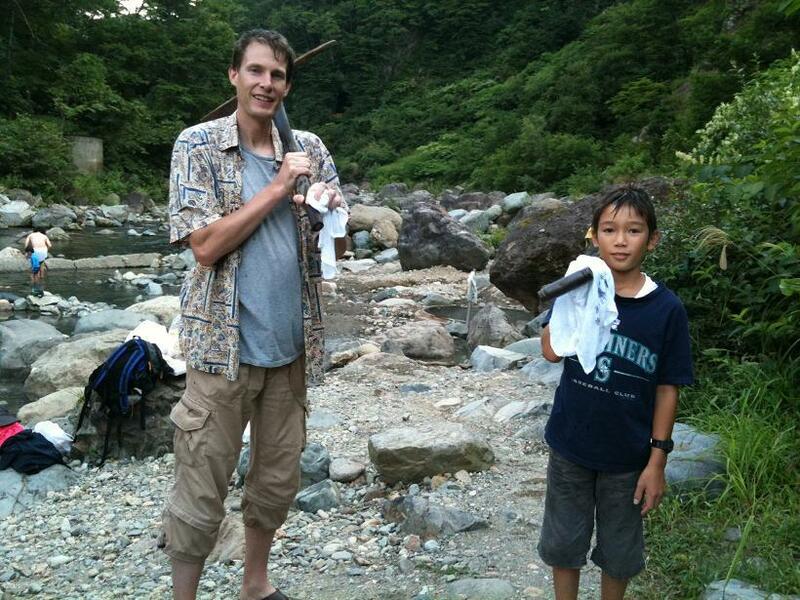 Dig Your Own Bath and Enjoy the Onsen Water Bubbling Up from the Riverbed. One of Nagano's most special onsens -- besides a towel, bathers will need to take a shovel, too! Kiriake Onsen, located in the northeastern tip of the prefecture, is a hot spring that bubbles up in a river bed. Bathers move river rocks around to make their own bath. Nagano has more day-use onsens than any other prefecture. So it is fitting that there are some pretty unusual and unique onsen baths in Nagano. And everyone in Nagano loves to soak in onsens -- even the monkeys (c.f. the world-famous snow monkeys at Jigokudani Wild Monkey Park). There's even a book on Nagano's Top 100 Day-Use Hot Springs (https://www.createspace.com/4086253). Kiriake Onsen is hidden away in the Akiyama onsen district in the northeastern corner of Nagano Prefecture. 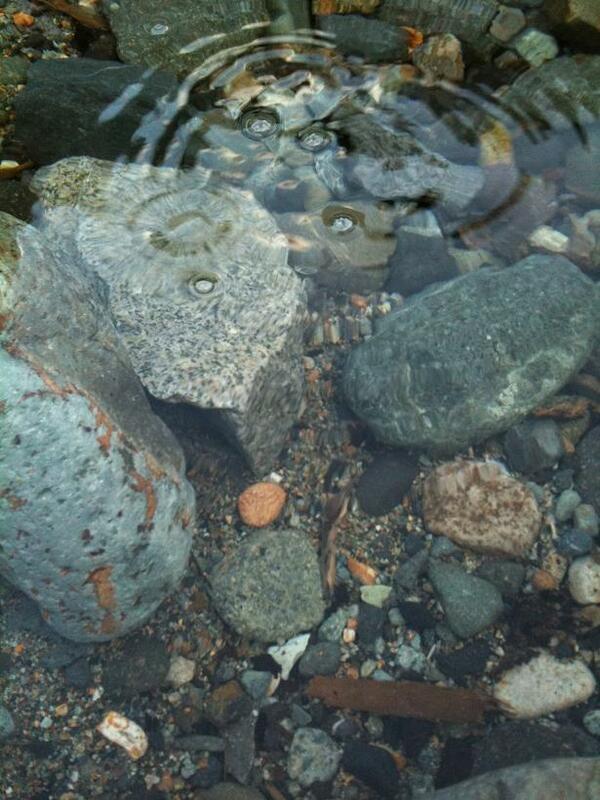 It's mineral water bubbles up from the bed of the Nakatsugawa River. Bathers need to arrange the river rocks to make their own bath, adjusting the temperature by changing the flow of the river. Available around the front desk. Yusenkaku is closed Thursdays as well as from December to March. River bath is open year-round. Shovels available for use at Yusenkaku. Use caution as there are hot spots in the riverbed with scalding hot water. From Morimiya Nohara Station(JR Iiyama Line), Take Minami Echigo Kanko Bus to Wayama Onsen (3 runs per day, 1 hour 45 min. ), then 45 min. 3.5km walk. From Toyota-Iiyama IC, take route 117 northeast 44km to Route 405. Proceed 33km to Kiriake Onsen (2 hours). Hotel Grand Phenix Okushiga : Natural construction complementing the location high in Oku-Shiga Kogen Mountains.